The best recipe for cheesecake around? You be the judge. 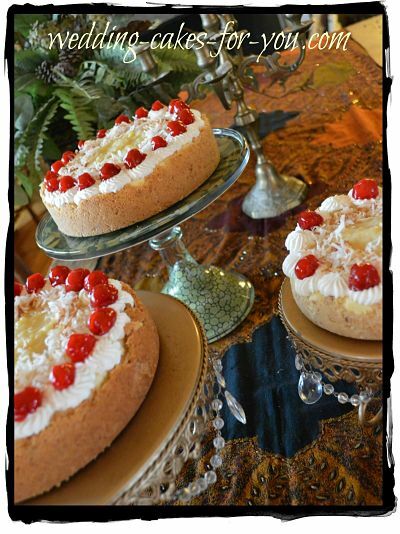 This recipe for cheese cake has been a central part of all of our family gatherings for many years. Everyone adores it! We prefer it with cherries on top but you can use any topping you prefer or leave it plain. Oven temps can vary so you may need to adjust this temperature for your oven. In a bowl mix the sugar and graham cracker crumbs. Melt the butter and add it to the crumb mixture. Mix until butter is incorporated. Press into a spring form pan covering the bottom and sides. Tip: If you don't have a spring-form pan you can use a regular 10 inch baking pan. See below how to remove the cake from the pan. Beat together the cream and sugar until light and smooth. Mix in the eggs, vanilla and cornstarch until well blended(do not beat) Stir in the sour cream until the mixture is well blended. Bake for 10 minutes at 400 and then turn the oven down to 350 or less (I use 325 in my oven) for about 45 minutes or until the sides start to raise and are barely beginning to brown. The center may still be a little soft at this point but it will harden as the cake cools. Once the cake reaches room temperature, leave it in the pan and cover with aluminum foil. Refrigerate for at least 4 hours. Cheesecakes with coconut cake crumb crust. At this point remove the sides of the pans, wrap the cake well in plastic wrap and freeze. When you are ready to serve the cake take it out of the freezer and use a spatula or large knife to remove the cake from the spring-form pan bottom. Slide it onto a cardboard round that has been decorated with a doily or a plate. To remove the cake from a regular pan it's important that the cake be frozen. Place the pan over an open flame and move it around (make sure you have oven mitts on of course) The objective is to melt the butter in the crust just enough so that the cake will come out easily. Place a cardboard round over the top of the cake and flip it. Now place another cardboard round on the underside of the cake and flip it back. You can use plates if you don't happen to have cardboard. 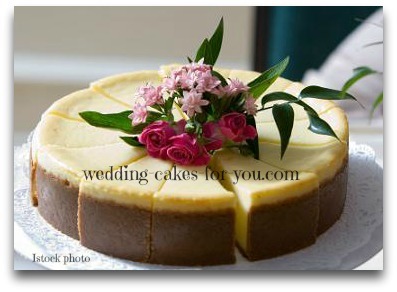 Cheesecakes make great wedding cakes. Have you considered a Cheesecake Wedding Cake? 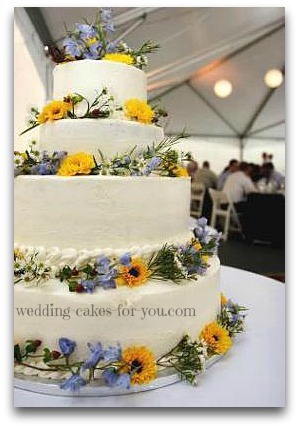 Check out this homemade wedding cake by one of my readers and her sweet story to go with it. Cheesecake freezes very well. Make sure you wrap the cake very well in layers of plastic.